This testimony is also online at www.Dallasisd.us. 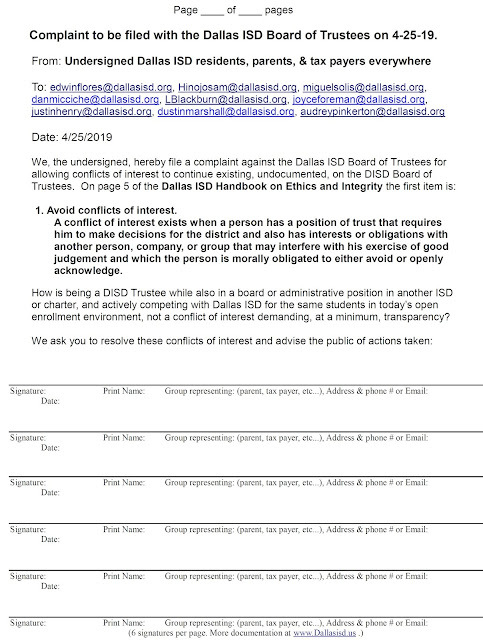 Almost a month ago an ethics complaint was filed against the DISD Board for allowing conflict of interest situations to continue unchallenged and undocumented on the Board. 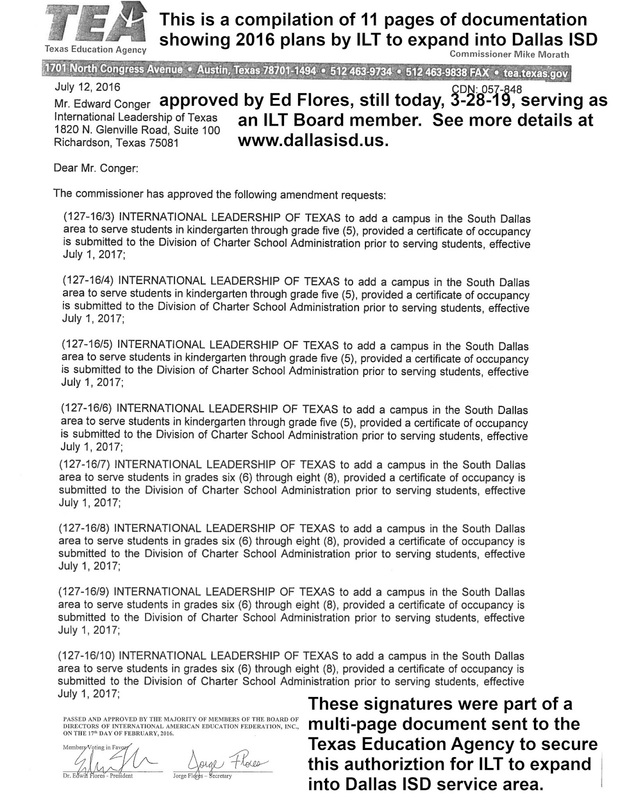 The complaint was sent to every board member and Dr. Hinojosa. It included 5 signature pages with 30 signatures. 1. Avoid conflicts of interest. A conflict of interest exists when a person has a position of trust that requires him to make decisions for the district and also has interests or obligations with another person, company, or group that may interfere with his exercise of good judgement and which the person is morally obligated to either avoid or openly acknowledge. 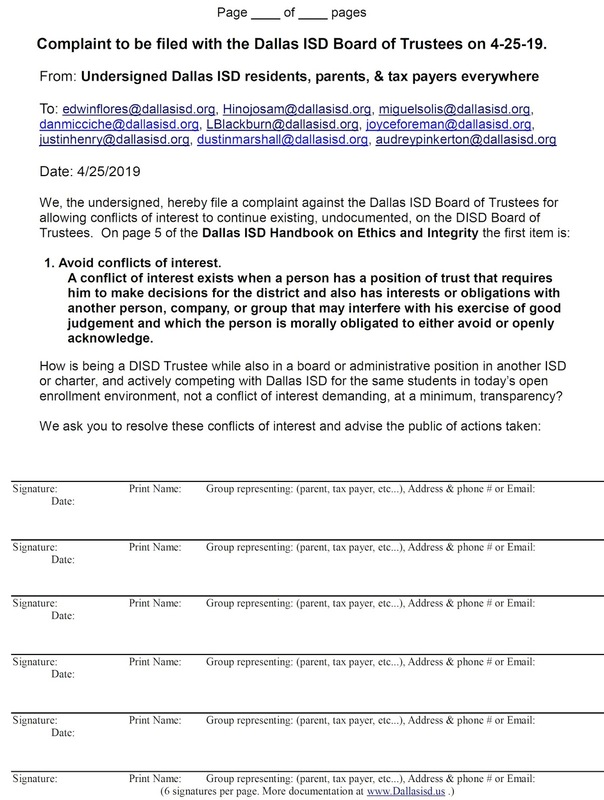 How is being a DISD Trustee while also in a board or administrative position in another ISD or charter, and actively competing with Dallas ISD for the same students in today’s open enrollment environment, not a conflict of interest demanding, at a minimum, transparency? We ask you to resolve these conflicts and advise the public of your actions taken." 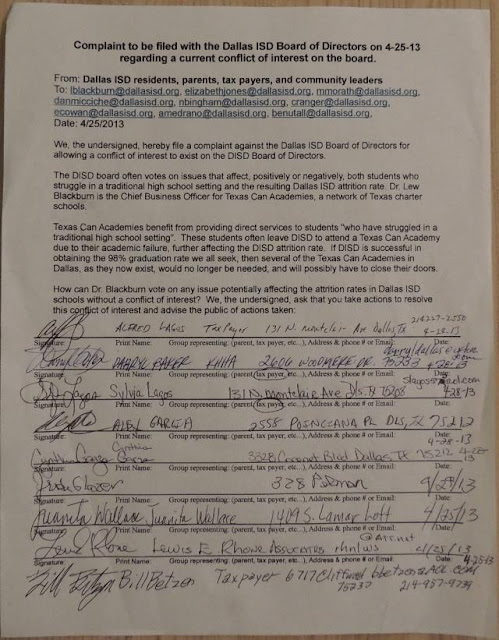 This complaint, along with 30 signatures, was emailed to all Trustees and Dr. Hinojosa on Friday, March 29th, last month. Nothing has been heard from anyone in an official capacity from Dallas ISD about this complaint since. Today, 4-25-19, these 30 signatures have again been sent in an email to all trustees and Dr. Hinojosa along with an additional 73 signatures. We are now asking that this item be placed on the Board meeting agenda for May and be discussed in public so we can all know how you plan to handle these obvious ongoing conflicts of interest. If any Trustee thinks they should be held to a lower standard than DISD employees, it is requested that they so state in public in the board meeting so it can be recorded. 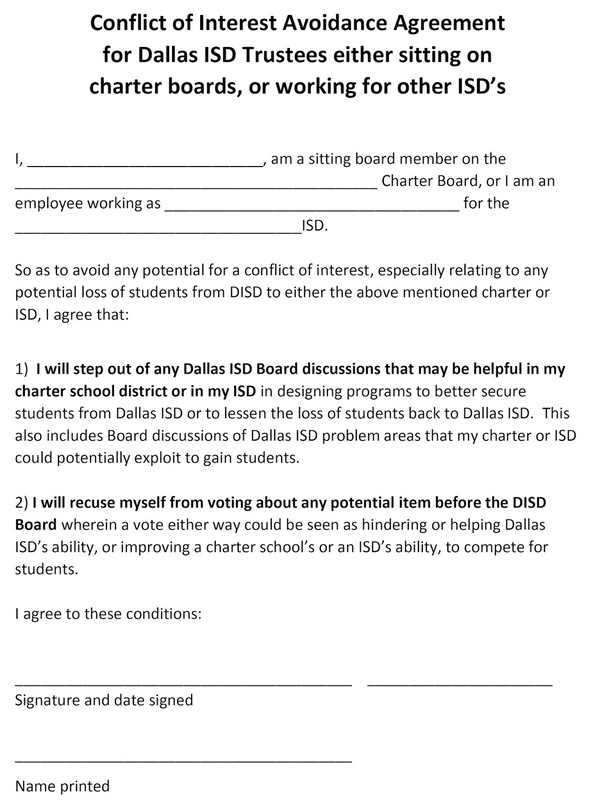 Here is a link to more details about this ongoing issue with DISD Trustees that goes back 6 years and longer. Nobody debates education must be transparently data driven. How is racial equity any different? All politicians, especially education leaders, claim to be both transparent and data driven. 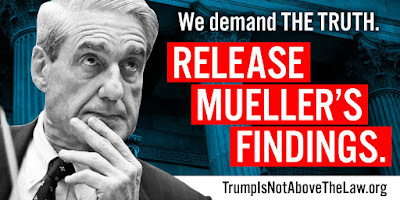 But how many transparent to the extent that they share the original sources of the data they are using, sources that are public and easy to locate online, sources that report multiple years of data that are easily followed to show multi-year patterns? How many can point to conclusive, published, and peer reviewed research that academic progress was verified as changed by whatever methods the leaders are supporting? How many point to spending per student in the 32 cost centers in the PEIMS Financial Reports to validate racial equity in funding between schools? NONE! Education leaders rarely advertise easy-to-digest public information. They rarely follow data over the years from decade to decade. Only small snapshots of cherry-picked data are used to justify the most recent multimillion-dollar innovations. That seems to be the extent of being "data driven" in our public schools. Peer-reviewed published research is painfully rare. 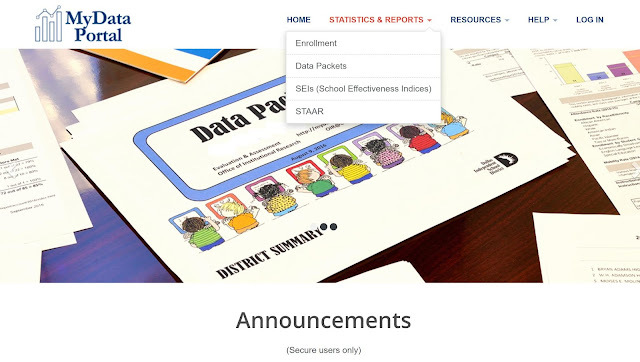 The Dallas ISD Data Portal, should be, and almost is, the most valuable source for information for everyone. 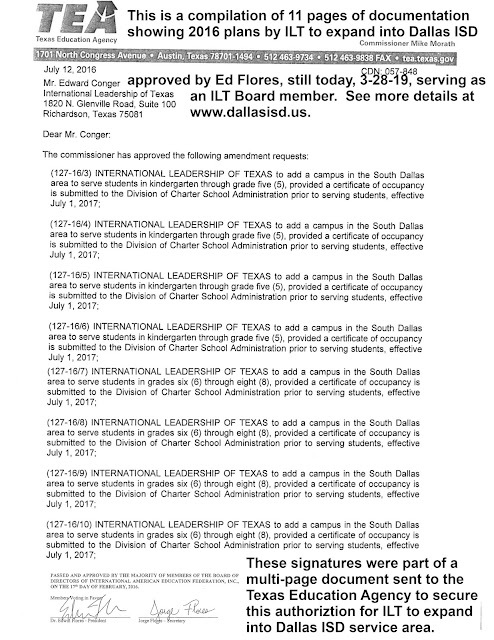 See https://mydata.dallasisd.org/ It is a very large site. After over a decade of work on it, I can only claim to know more than most residents, but not everything. The main DISD Data Portal menu below has these choices. It is safe to presume that the most used choice selected is "Statistics and Reports." I have invested thousands of hours over the past 15 years working with these 4 alternatives, spending most of my time in the first three choices on enrollment, Data Packets, and the powerful SEI, the School Effectiveness Indices. They are powerful! Enrollment is only current data. Data Packets have all data for school indicated going back nine years. It is powerful, but all in a pdf file and very difficult to use in showing patterns year to year. That takes work! SEI (School Effectiveness Indices) data is very powerful and useful in tracking progress in schools. I have used it extensively to follow schools with School Time Capsule Projects. This measure must never be allowed to stop unless replaced by an improvement. It is very useful. It is over 20 years old and unique to DISD as far as I know. The "School Information File" is POTENTIALLY the most powerful tool in the Dallas ISD Data Portal. It creates a spreadsheet in seconds with one line for every school and academy in DISD and currently provides 40 variables per school, some of the most critical. It needs to be expanded to hundreds of additional variables per school. The "School Information File" has the potential of overcoming the greatest weaknesses of the fragmented data systems used by all school systems nationwide. None of them have taken the hundreds of major variables per school and placed them into one large spreadsheet with 200+ columns of data per school that could easily be compared with all other schools in the large urban district, or even with all the schools in the state. The major resistance requests for such multi-year transparency have encountered indicate that leaders know what will be exposed: a history of the massive supplantation of federal funds reflecting MASSIVE RACIAL INEQUITY within Dallas ISD! Sadly there are many issues related to education equity and investments in schools that Dallas does not want to discuss: http://billbetzen.blogspot.com/2018/04/forbidden-topics-in-education-equity.html . Resistance in Dallas ISD to discussing racial equity data is happening today with the struggles of the Dallas ISD Racial Equity Office. That office has a full time data staff person who could have created such a Racial Equity Spreadsheet comparing achievement, monetary investments, staffing and multiple other variables for all DISD schools in one spreadsheet. Such a powerful tool would allow the public to both help validate racial equity between schools, or document massive differences, so that true equity goals could be established. It has not happened! Until this changes is appears that the Racial Equity Office is designed to hide racial inequity in Dallas ISD. 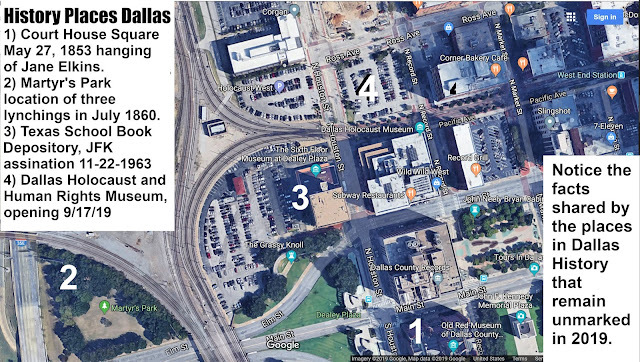 Tonight, 4-23-19, there are two independent Racial Equity community discussions in Oak Cliff, both starting at 6:30, one at Friendship West and the other at 400 S Zang Blvd in the Oak Room (Floor 0, basement). 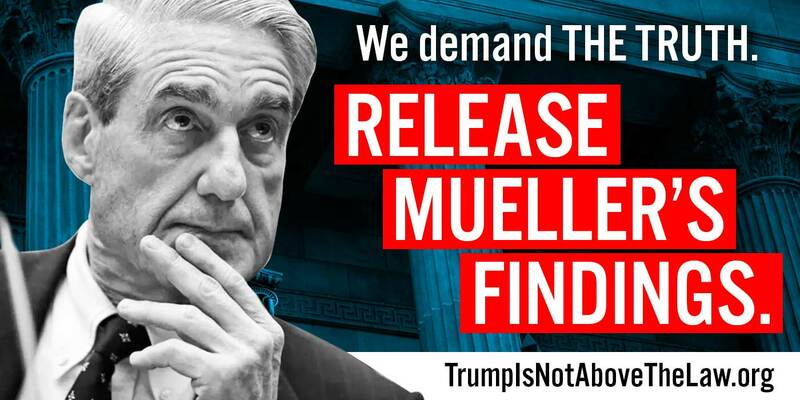 Please join in. Want to help hundreds of parents write letters to their child every year about their dreams for their child? Imagine the priceless family conversations such letters could generate! Want to help children write their plans for their own futures every year during the decade before they graduate high school? Imagine if you had copies of such plans you had written from 3rd through 12th grade! Would you be a different person because of such a future focus? Want to help parents connect their children with their family roots, their history? Imagine if you now had such written family stories from your parents, grandparents, and other relatives. Imagine the value of such written family stories! Imagine the stories that went to the grave with your older relatives as no grandchild, niece or nephew had asked for stories from family history to be written in letters back to them. Want to help students experience the power of writing? This writing exercise, carried forward year to year by your volunteer "postmaster" work, will show students the power of writing. Writing is too often the weakest link in the education of our students! Simply helping letters that students, parents, and other important relatives write, to get back to the student a year, or a decade later, makes it all possible! Imagine handing out year-old letters to 5th graders. Year-old letters are very old to most students. Volunteer School Time Capsule Postmasters are needed to help these goals be achieved! Their work makes a system possible that focuses both students and parents on their own roots & goals, year by year, from pre-k through graduation. They help the 10-year class reunions happen! Some of those attending the ten-year reunion May 2, 2017 for Quintanilla's 8th grade class from 2007. Each postmaster invests possibly 50 hours a year helping store hundreds, if not thousands of letters parents and students write for the School Time Capsule Vault, a large 500 to 700-pound vault usually placed in the school lobby, a place students and parents pass it as often as possible. If their local school does not yet have a vault and a School Time Capsule Project, they can help raise the $900 needed with the PTA. The fundraising process helps introduce parents to the project. The school can now order the 700-pound vault from Costco.com, delivered, for $900. The postmaster(s) helps train school staff, especially the Language Arts teachers, about this set of two annual writing projects for students. It begins with pre-k enrollment when each parent is asked to write a letter to their child about their dreams for them. The letters are written each year and go into the vault in the envelope for each child. This process changes by the third grade when two annual writing assignments begin. Students write a letter to each of their parents, and may expand in later years to favorite relatives, especially grandparents. Students write to ask for letters back about dreams the writers have for the student and for a story from the writer's personal history. Students should always immediately read letters they receive back. They then ask the writer any questions they may have. Hopefully this will lead to those priceless conversations we should have more often with our children and grandchildren. 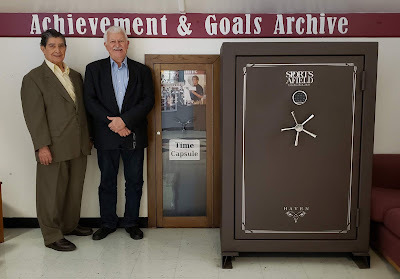 with the old 2005 Quintanilla vault and the new 700-pound vault. consistently remained one of the 5 best of all 33 DISD middle schools. A year is a very long time. Students change significantly. Thus the "Time Capsule" term is appropriate from the perspective of both the student, and their parents who see the massive year-to-year changes every child's life reflects. Postmaster(s) make this system possible. They manage the archiving system so that they can personally hand back to each student the envelope they prepared a year earlier. They will see that twinkle in the student's eye as students try to remember what they wrote a year earlier. The letter writing starts as parents write their first letter to their child about their dreams for them. This letter goes with the pre-k application. It is the first of 14 annual letters to their child about their dreams for them. These letters will develop and gain detail as their child grows. The Postmaster(s) will also help for the special 10-year-in-the-future dreams and plans that happen in the 8th grade, and then again in the 12th grade. They will ultimately be helping to coordinate those 10-year 8th grade and 12th grade class reunions. At the high school level they may simply staff the "Time Capsule Table" at the traditional high school 10-year reunion. 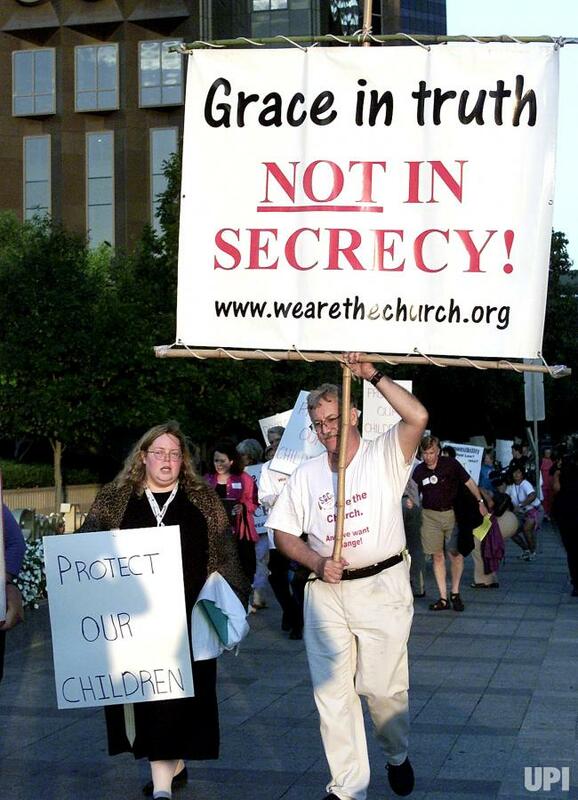 They will pass back the letters written 10-years earlier. 2015 was first 10-year reunion for the first Time Capsule Project Class of 2005.
improvements now speed up such improvement to three years, not 10. I personally consider this to be the most rewarding volunteer work possible. You will see a school change before your very eyes! Your work allows students to begin to know in more detail their own family roots and make their own plans for the future, updating their plans every year. Grades and behavior both improve! Student confidence grows! Then you see tears of joy at the class reunions as they are thankful and celebrate what they have achieved. Please call the Dallas ISD Volunteer Center (972-925-5440) about becoming a Time Capsule Postmaster. You may even help start such a project in a school you want to change. Use the word "Postmaster" and they will know what you are calling about. To see more details about the project, read the manual that is found at www.StudentMotivation.org. This is an open source project that is ran independently by each school. We only ask that Project improvements discovered be shared. Downtown Dallas has many locations reflecting both Dallas and Human History. It is a history that continues to expand as brutal public events, forgotten in history, are now being explored and acknowledged. This post is about 4 places downtown. They are in all stages: developed, being developed, and yet to be developed. They are all within easy walking distance. They are numbered on the satellite view image below. They reflect us! There is no memorial to Jane Elkins anywhere. One is needed to reflect her suffering and the many thousands sexually abused in slavery. The public needs to know the horror of slavery, the reason why Confederate statues to those who wanted to keep slavery had to be taken out of places of respect, but not out of our history. Museums must now struggle with how to most accurately tell this history.